Forget trading-floor rules such as the cuff of your shirt hitting an inch beyond your wristbone. Next season is far more slacker than that. Pulling your sleeves over your hands like Kurt Cobain in Seattle is a tic to cultivate. Wrists are to be covered at all times. See the sweaters at Topman and Agi & Sam, and pyjama tops at JW Anderson. Rey’s outfit is available for the under 12s at the Disney Store, while versions of it have also been worn on the catwalk at London Collections Men this week. 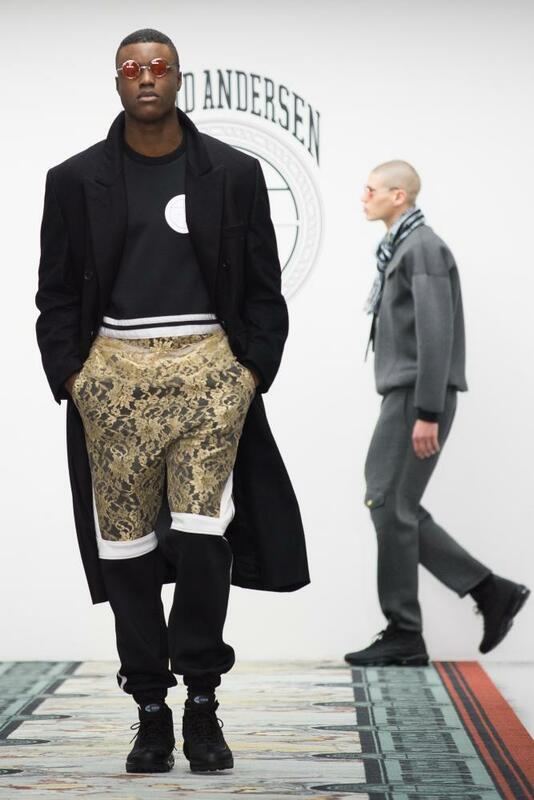 Looks worthy of a desert warrior appeared at Craig Green, Christopher Raeburn and Agi & Sam, meaning that men next season can be fashionable and ready for a sandstorm all at the same time. Recalling Judd Nelson’s thrift-store coat at the end of The Breakfast Club, outerwear at London Collections Men was all about the below-the-knee length. Dressing gowns appeared at Topman, Judd-style coats were at Lou Dalton and Astrid Andersen underscored the whole idea with basketball shorts worn under a coat, both hitting exactly that sweet spot. The message? Shelve the bomber and buy yourself a proper coat next season. 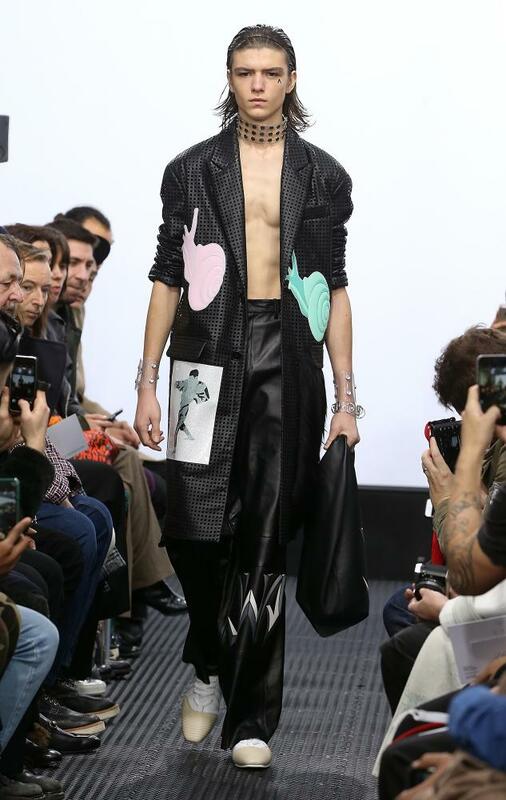 Designers are up to date on all things app – JW Anderson streamed his show on gay dating platform Grindr. The clothes at London Collections were very Line, the kawaii Japanese messaging app that comes with extra-large emojis, or “stickers”, of bespoke cartoon characters. Anderson had snails on pyjama tops, while there were rockets on jumpers at Coach and caterpillars at James Long. The catwalk debut of Line’s Brown and Cony can only be a matter of time. 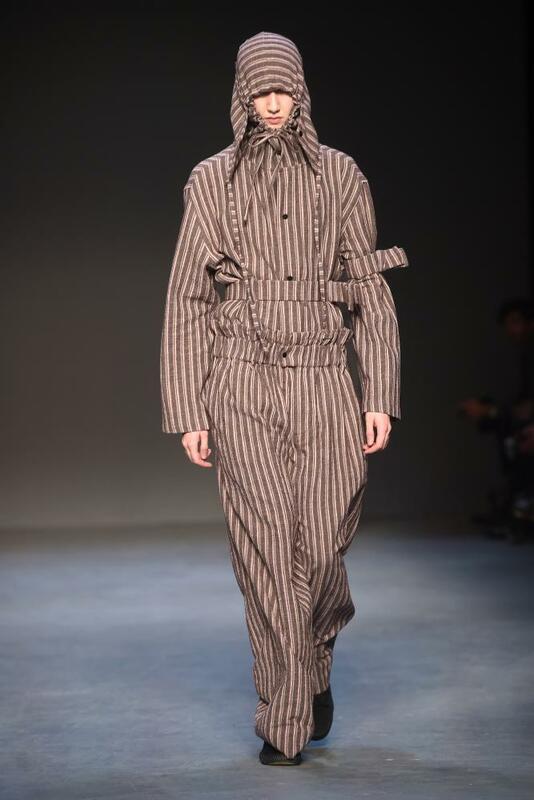 Fashion is totally into the working man next season. 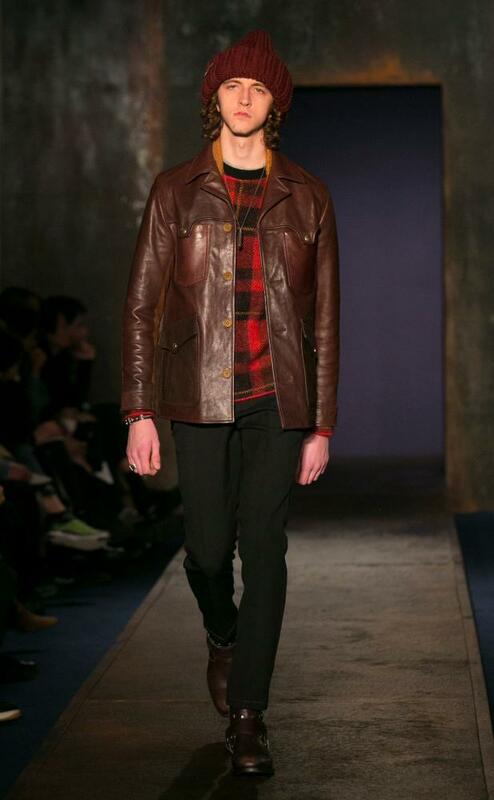 Coach’s creative director Stuart Vevers referenced Bruce Springsteen, and what he called a “blue collar” look, in a collection that included plaid, leather jackets and chunky boots, presented on a catwalk featuring girders. Elsewhere, Christopher Kane namechecked hi-vis jackets, and Cottweiler presented a collection inspired by farmers in a field of wheat. Manual work has never been so chic. Related: From the backbenches to the front row – what would our sketchwriter John Crace make of men’s fashion week? 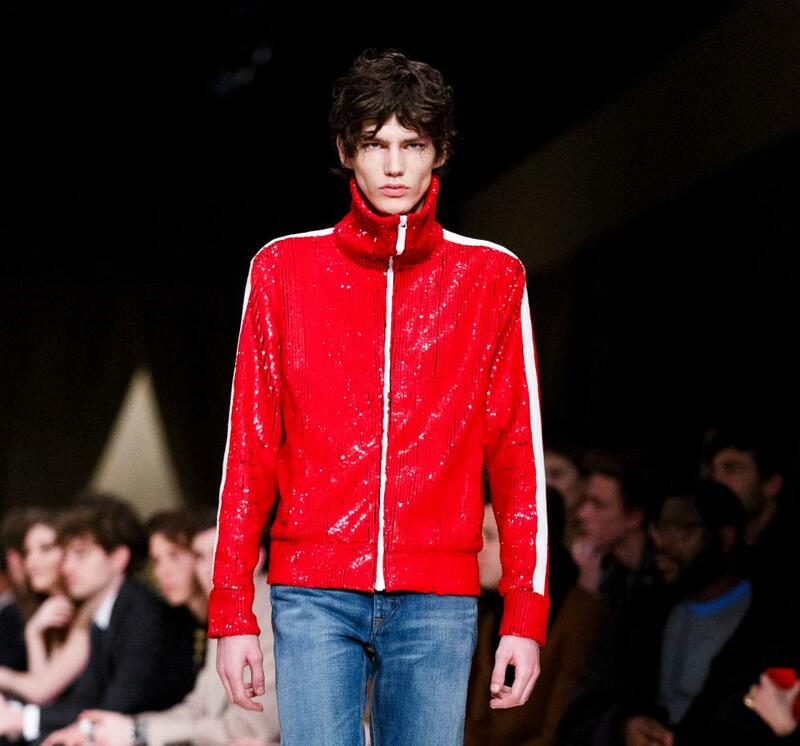 Ian Brown, Deutschland 83, Juergen Klopp and Edie Campbell on the Chloe catwalk all arguably had a hand in a red sequin tracksuit top appearing at Burberry this week. This is a development to be applauded, especially when it’s combined with normcore jeans and mocassins. The trackie top also appeared at Grace Wales Bonner and Moschino, proving that the training ground is now officially fashionable territory.